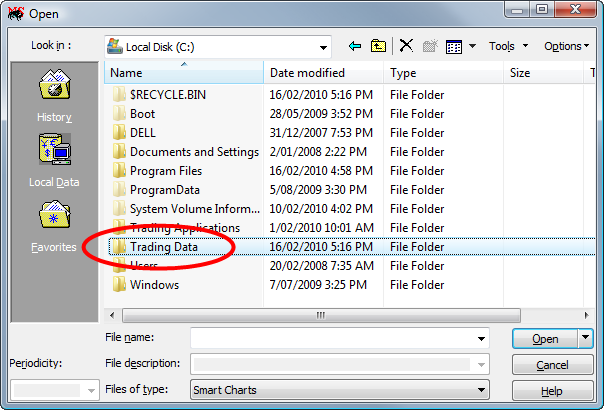 Our Futures data is installed (by default) directly under c:\Trading Data\Futures. The illustrations below assume you have the data history installed along the default installation path. 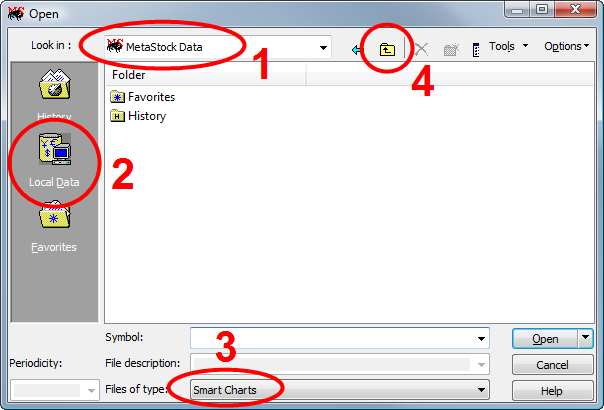 If you have the "Futures" folder installed along a different path, please take that into account. Now - let's see how to open a Continuous Contract Spliced (CCS) for "Crude Oil C". 3. 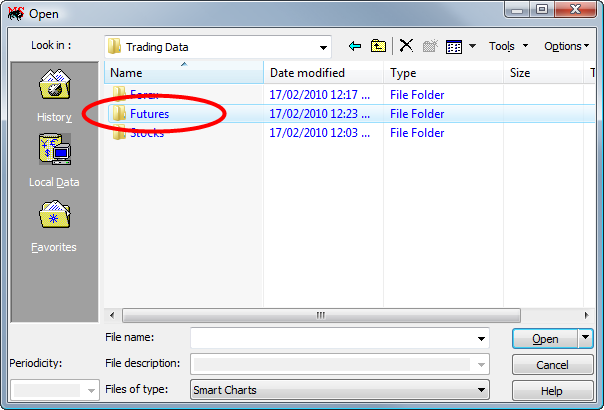 Now you should see the "Futures" folder. Double-click on it. 4. 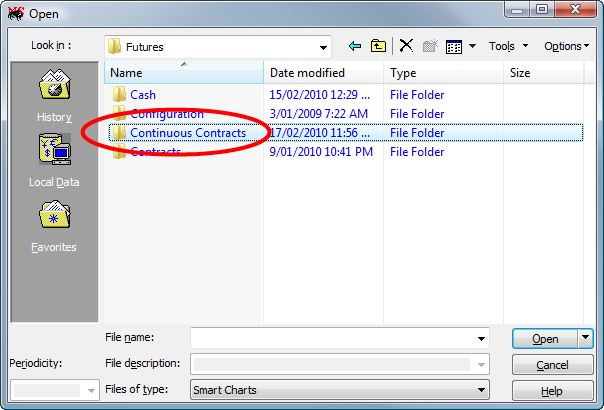 Now you should see the "Continuous Contracts" folder. Double-click on it. 5. 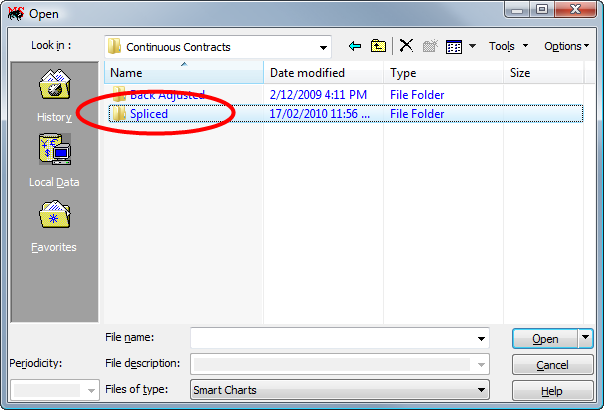 Now you should see the "Spliced" folder. Double-click on it. 6. Now you should see a list of futures contracts. 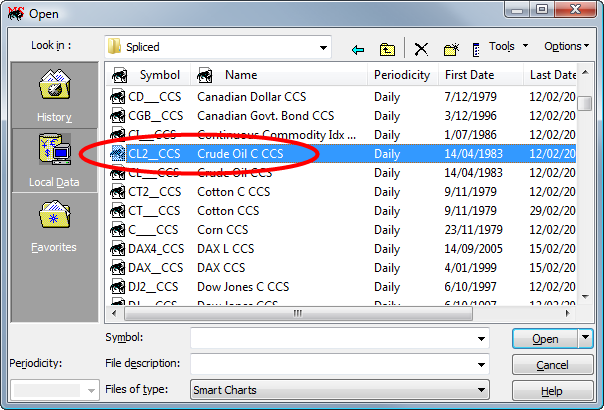 Look down the list for the name "Crude Oil C CCS" and double-click on it to open that file as a Smart Chart.